and EHA Gift Certificates, of course! This beautiful wildlife collectible pin features the artwork of professional artist DJ Geribo. 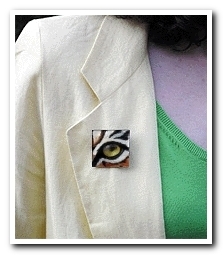 Depicted is the eye of a Bengal tiger. 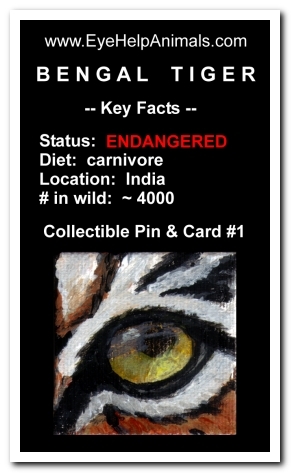 Wear this pin with pride and know that you are helping to save the Bengal tiger! 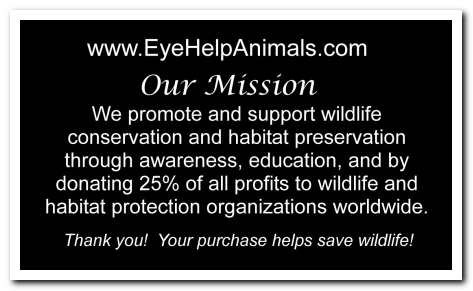 25% of the profits on every item we sell helps save wildlife and protect habitat. See Our Mission Statement to find out more.